Your in-stock order will ship within 2 business days. Studio dies that are backordered are currently out of stock, but are available for purchase. Your entire order will ship with the backordered item within 10 business days. AccuQuilt offers free ground shipping on orders with a subtotal of $150 or more, shipped within the contiguous U.S. Unfortunately, free shipping is not available for shipments to Hawaii, Alaska or Canada, but it is still quick and affordable. All expedited shipments need to be placed before 12:00pm CST. 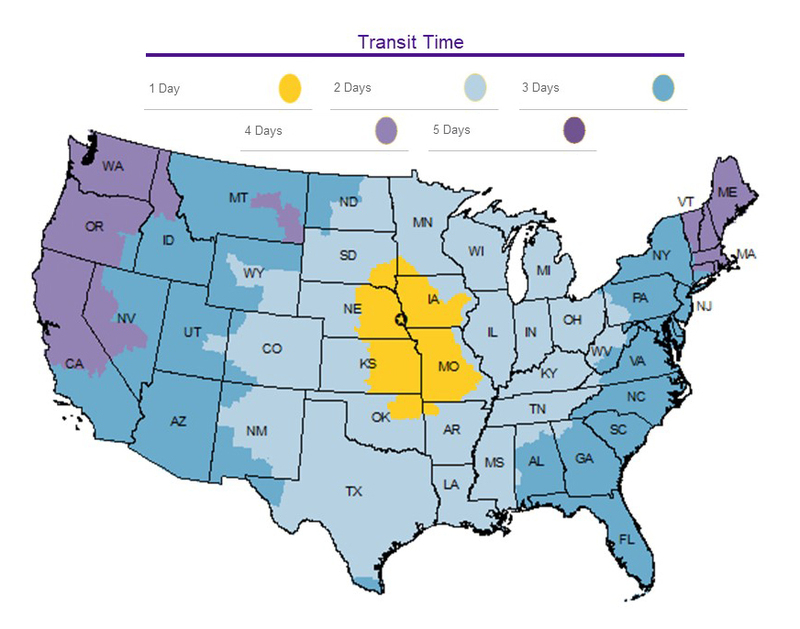 The shipping time frames below apply to in-stock merchandise delivered to the contiguous United States and does not include Alaska or Hawaii. AccuQuilt reserves the right to ship packages weighing under 10lbs via Smart Post/United States Postal Service. Shipping charges are based on the total value of merchandise (before any discounts) and do not include taxes or any additional charges. Not valid on wholesale orders. All orders are shipped via FedEx or U.S. Postal Service. Additional fees apply for certain items as indicated on item product page. AccuQuilt is unable to ship to a PO Box for International Deliveries. AccuQuilt orders can be shipped to most international addresses. Please note: Shipping costs do not include duty, VAT, taxes or brokerage fees. You will receive an e-mail with tracking information when your order ships.